Low Carb Smoothie & Shake Recipes – Healthy Ketogenic Diet Smoothie Recipes For Weight Loss – The Keto Diet Made Easy Series – Lose weight while enjoying delicious smoothies from this cookbook. Macros included with each recipe – All recipes contain 5 or less net carbs. 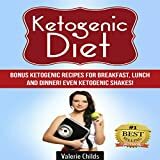 In this Ketogenic Diet friendly cookbook, you’ll find smoothie and shake recipes for health that are sugar free, great for Diabetics, those following a low carb diet and potentially even enjoy rapid weight loss thanks to the smoothie recipes in this cookbook. * Satisfy your sweet tooth/cravings! * You’ll be surprised to learn how easy it is to construct the perfect low carb smoothie. 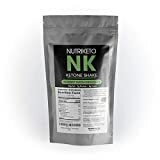 * The smoothies and shakes are delicious low carb desserts or liquid fat bombs and may promote Ketosis and even weight loss.